I have not done a crush in a long time and now that Summer is here, it seemed like the best time to go internet window shopping. It wasn’t all window shopping though, I ended up buying a flamingo bathing suit (it was 50% off last night! )… and it didn’t even make the roundup! Ha, maybe that is why I should not do roundups, it costs me too much money! 2. A pineapple rocking heart sunglasses tank top. 3. 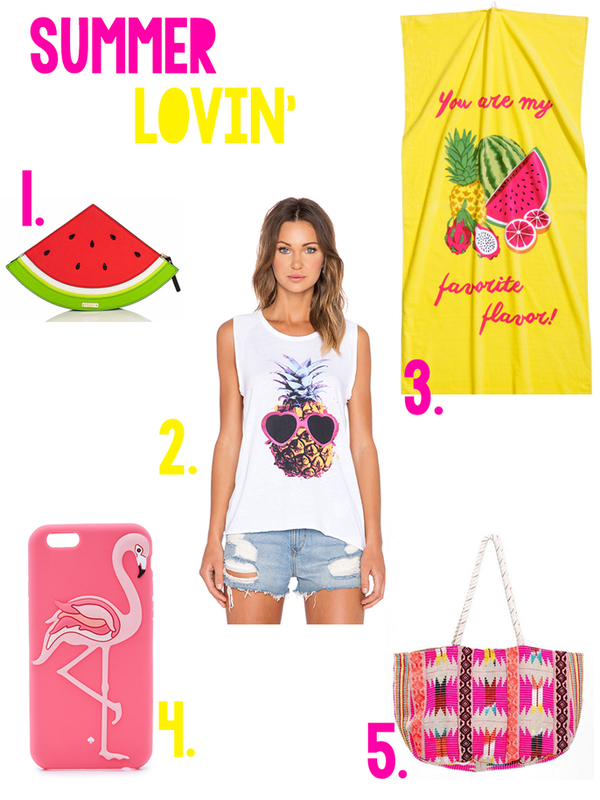 A colorful beach towel with all my summer favs! 4. Flamingo phone case. Pink & flamingo- I heart. 5. I really want this bag… and it may be a future purchase.